As opposites attract, so is your case. It could be an intense physical attraction. 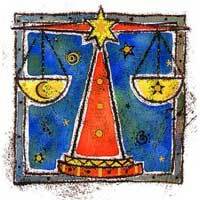 Libra is the 7th solar sign, which has to do with public relations, marriage, contracts and legal documents. This person will bring up the compassion in you. But you are tempted to take advantage of Libra - you are powerful and they concede. If you continue to do this, it could push them out of your life. So, in a relationship with a Libra you learn to control yourselves and protect your image, that's because they tend to make you see yourselves exactly how others see you. You are able to lead, but do not get carried away and leave someone behind. 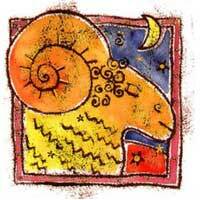 Since you are opposed, it is important to learn as much as you can from Libras and try out what it is shown. If you spend more time near a Libra, some of your aggressive qualities will disappear; Libra will calm you down. All in all in a relationship between an Aries and a Libra the predominant word is "harmony", this of course if you do not push too much. Venus and Mars will provide warmth and success when you join forces. If you are interested enough, you will succeed.